Jon began leading worship as a teenager. At age seventeen, the Lord stirred in him a desire to use music to draw people’s hearts into the Lord’s presence. Jon believes that the essential purpose of music should be to move our hearts closer to the Lord, and to magnify His awesome name, giving Him the praise and glory He rightly deserves. 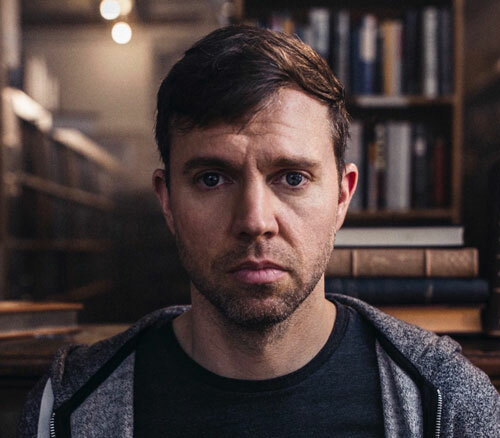 Jon is passionate about creating music that will be an onramp for people to connect with the heart of Jesus. Many of Jon’s compositions have been birthed spontaneously while leading worship in the Prayer Room. One of his more recent songs “Storm All Around You” originated unplanned during a daily worship set. Through the years, Jon has made the description of God’s throne in Revelation chapters 4 and 5 a consistent, personal meditation during his prayer time. This song erupted from the history of time spent in these particular passages. Other songs birthed in the Prayer Room include “Jesus You’re Beautiful” and “Things Are Not Okay.” While singing on a worship set one morning, Jon found himself reaching to connect with Jesus in the midst of the routine and mundane. In this reach, he began declaring the Revelation 1 descriptions of who Jesus really is… “I know that Your eyes are like flames of fire. I know that Your hair is as white as wool. I know that Your voice it sounds like waters. Jesus, You’re beautiful!” In that moment of reaching to connect with the Lord’s heart, “Jesus You’re Beautiful” was written. “Things Are Not Okay” defines the posture of heart we as Jesus’ Bride seek to possess. Until Jesus returns and is here among us again, in the flesh, things are not okay. Jon and his wife Kinsey are thankful to be a part of the movement of worship and prayer that is spreading across the earth. With anticipation they look to the day when every knee will bow before Jesus, every mouth will confess His lordship, and every song will declare His praises.